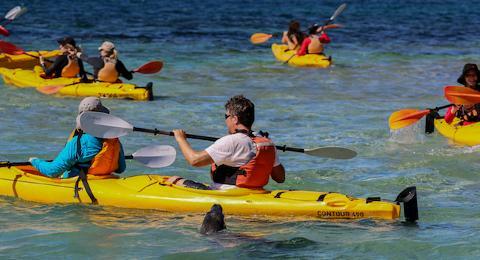 Paddling a sea kayak is a unique and intimate way to explore Penguin & Seal Islands. 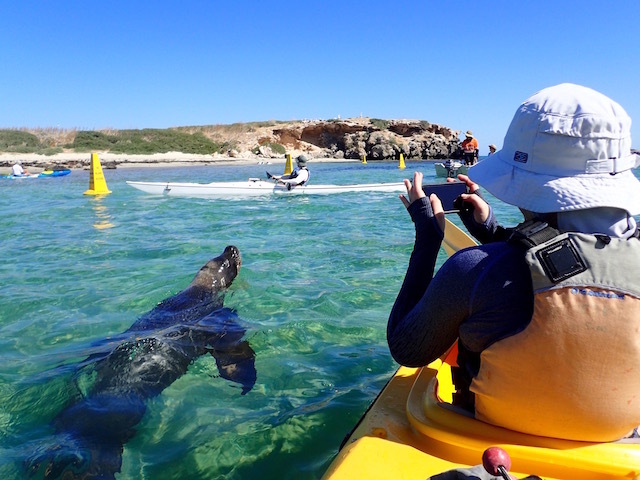 Get up close and personal with the sea lions, cruise past colonies of pelicans and take in the rugged beauty of the islands. 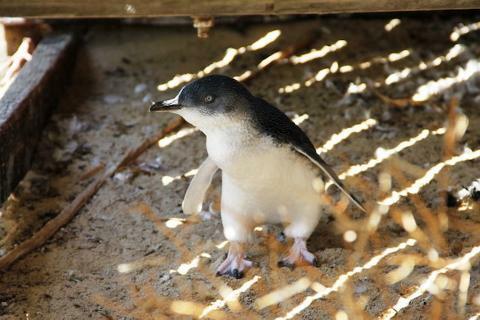 Meet the little penguins in the Penguin Island discovery centre. 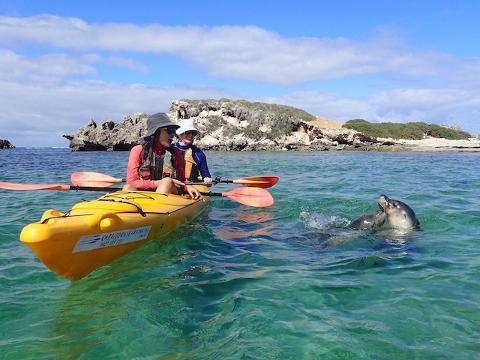 Tours are led by a qualified instructor who will take you on a guided walk and snorkelling (in the warmer summer months, December to March) on Penguin Island. 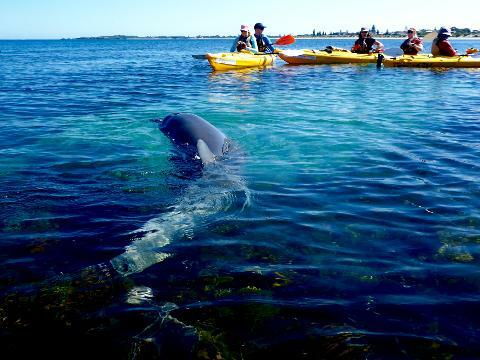 Sometimes we even see the dolphins! 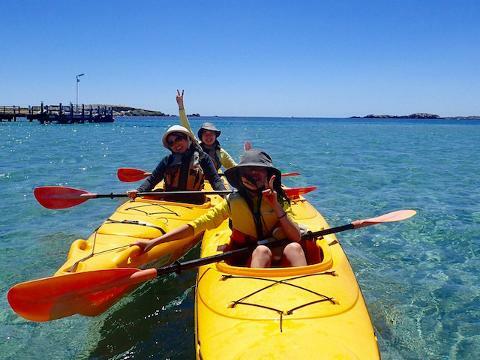 It’s a fun filled day suitable for beginners and advanced paddlers. 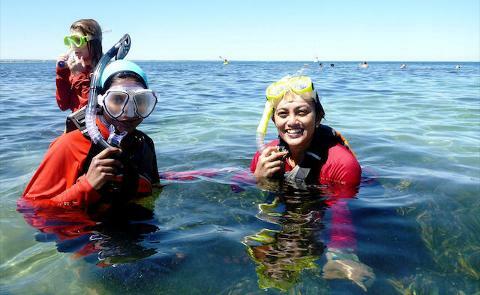 · Swimming from beautiful sandy beaches and snorkelling colourful reefs with your tour guide (December to March only). 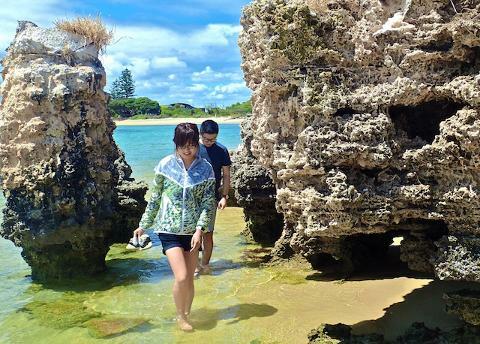 · Seeing the little penguins at the Discovery Centre, and then enjoying an island picnic lunch under the trees overlooking sweeping views of the marine park. Meet at 8.am at 153 Arcadia Drive, opposite the Penguin Road intersection, in the Pengos Cafe carpark. Please look for our ute and yellow sea kayaks in the northern car park, and introduce yourself to your guide upon arrival. Tour ends between 1 and 2pm, it depends on variables like weather conditions, group abilities etc.